The snow crab is revered for it’s pure white, delicate meat. They are fished from the Bering Sea, using highly sustainable methods and the fishery is excellently managed. Snow crab can be used in a myriad of amazing recipes that will keep drawing your diners back for more. In the United States, the legs and claws of snow crabs are steamed before being sold at market. This makes them delightfully simple to prepare entrees deserving of the term delicacy. Snow crab meat is sweet and flaky your chef only needs to reheat it gently before serving. Your diners may enjoy snow crab directly out of the shell with melted butter or as a delectable addition to chowders, omelets, crepes, casseroles and quiches. It also makes an excellent appetizer served cold. Add charm to your menu with succulent snow crab dishes. As one of Alaska’s signature fisheries, the snow crab has had its share of successes and hardships. Luckily, effective management has responded to these oscillations quickly and successfully. Population assessments are conducted every year with the results used to set the catch limit for the following season. Even if the population fluctuates due to ocean conditions rather than overfishing, fishermen are able to respond effectively and take fewer crabs. This creates a sustainable model that allows the fishery to continue thriving year after year. The fishery is also under an individual fishing quota (IFQ), which means each and every fisherman receives a fair share of the harvest – immensely decreasing competition between fishermen and pressure on the snow crab population. The snow crab fishery is a perfect example of supreme sustainability. Join us in celebrating the success of an industry that strives to protect our natural resources and keep our coastlines healthy. Purchase your wholesale snow crab from Pucci Foods and help support the sustainable seafood industry while providing your customers with fresh, healthy seafood. 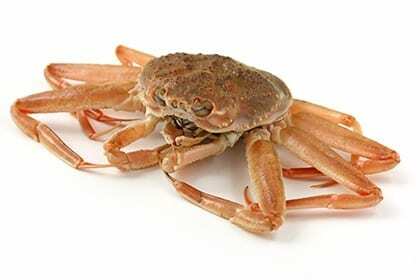 Order wholesale snow crab by filling out the form on this page. A member of our team will be in touch soon.